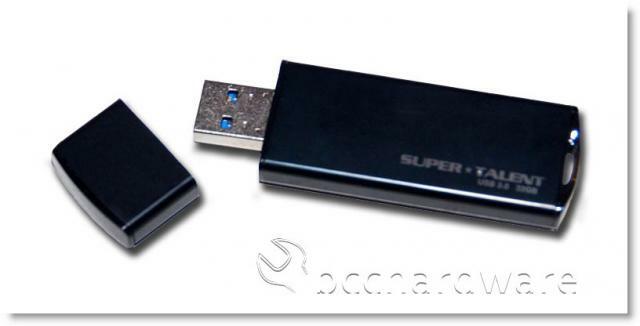 Super Talent originally caught our attention with the DDR2 products back in 2007 and since have branched out into a lot of other memory products including SSDs, USB Flash drives and of course DDR2 and DDR3 memory modules. 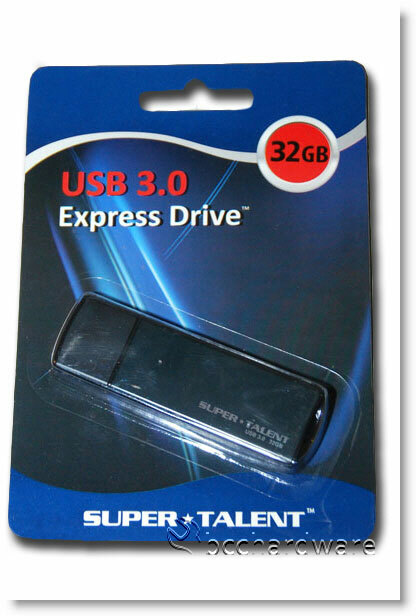 Today we are looking at a very fast USB 3.0 Express Flash Drive that is merely their "mainstream" USB3.0 drive. The unit we're testing out today has a capacity of 32GB and although it is quite bulky, you'll find out if the size is worth the performance of this unit. Super Talent has a USB3.0 RAIDDrive that is faster than this drive, but there still isn't a USB2.0 drive that can compete as well see in a few minutes. Super Talent Technology, headquartered in San Jose, California, designs and manufactures a full range of DDR, DDR2, and DDR3 memory modules and Flash based storage devices for computers and consumer electronics. An ISO 9001 certified company, Super Talent utilizes its state-of-the art factory and leading-edge components to produce award winning products with outstanding reliability. Super Talent is an active member of JEDEC, ONFI and USB-IF standards bodies, and holds over 200 patents in Flash and DRAM technology. Our memory modules are rigorously qualified in Super Talent's compatibility labs, and are then tested and approved by top motherboard manufacturers and other industry partners. Every memory product from the production line is subject to essential hardware and software testing standards for consistency and functionality. Our intensive quality control and testing procedures are designed to ensure the highest possible product quality. Super Talent's extensive statistical analysis of manufacturing data helps drive constant improvement in operations. On the next page we'll take a look at the Turbo software and see how fast this drive really is.